Despite the Stress, Suicides Don't Spike Over The Holidays : Shots - Health News Holidays may not live up to expectations, but they don't spark a spate of suicides, studies show. Instead, people are more likely to try to attempt suicide in the spring. Even then, an individual's suicide risk is influenced by genetics, environment and factors other than the calendar. 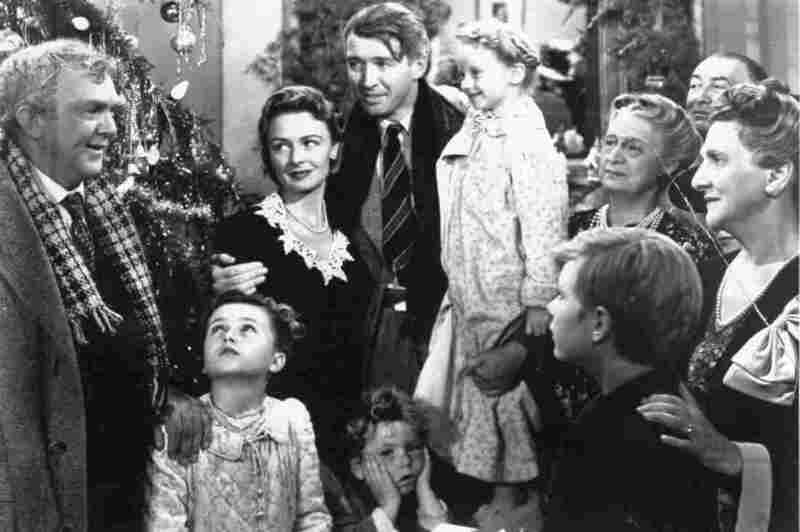 In the holiday classic It's a Wonderful Life, a despondent George Bailey considers suicide on Christmas Eve, thinking that he will be worth more dead than alive to his family because of his life insurance. Suicide is widely thought to be an increased risk around the holidays. But there's plenty of data to show that's just not true. "We've tried to dispel this myth, but it just hangs in there," says Dan Romer, associate director of the Annenberg Public Policy Center at the University of Pennsylvania. For more than a decade, Romer's team at Penn has scanned newspaper articles and advice columns that address suicide. Typically about 50 percent of the stories incorrectly suggest that suicide goes up at the end of the year. But according to data from the National Center for Health Statistics, the opposite is true. "November, December, January nationally typically have the lowest rate of the year," Romer said. "They tend to go up in the spring." The misperception of holiday suicide risk could hamper efforts to prevent suicide, according to the Centers for Disease Control and Prevention. Holiday stress is not a major suicide trigger, says Dr. Christine Moutier, a psychiatrist and chief medical officer with the American Foundation for Suicide Prevention. "It's not even major psychosocial stressors on their own that would lead somebody to kill themselves," Moutier says. Instead, it's typically a confluence of variables that involve longer-term risk factors for that person. Those risk factors can include genetics, a history of trauma, child abuse or a family or personal history of mental illness. Access to lethal means also plays a role. People might think the holidays are riskier because there's often a mismatch between the expectations and reality of the holiday season, Moutier says. At the same time, people's routines are disturbed and there may be more alcohol consumption. Those all may help support the notion that suicides spike in December. For young people, holidays may be less stressful than school, says Jonathan Singer, an assistant professor of social work at Temple University who works with suicidal children and teens as a therapist with Guy Diamond and the Family Safety Net Project. Suicide triggers in the young are often associated with school, including humiliation, academic failure and pressure to excel, Singer says. "We see an uptick in the number of kids we see after the beginning of the school year," he says. "Then it slows down around the holidays." After students have taken their exams and are beginning to get excited for the holidays, Singer says, young people often start to have a sense of relief. "So for kids who are in school," he says, "the holidays are actually a fairly stress-free time that reduces suicide risk."